We often see Instagram feeds that are a confused mess – using images that have no flow and are too sales focused. Instagram is not a place for the ‘hard sell’ – as Gary Vee says (#askgaryvee), “use the Jab, Jab, Hook approach”. “Jab” your audience with a few valuable content pieces and then “hook” them with the sale. Having a structure around your Instagram posts will help you to develop consistency on your feed. Theme your content and add these content themes to your monthly content calendars. Who doesn’t love a good quote? Quotes inspire people and are very shareable. Which is why they have a real potential to become viral – meaning more exposure for your brand. Rather than simply reposting a quote from another page, create a quote with your branding elements with credits to the source – and if your followers start tagging their friends in it, that’s incredibly beneficial for the brand awareness of your business! Remember to keep your quotes relevant to your brand and your brand values. So true ✨ Whether it’s a country, a place, a house, a suburb or just a person – Home is not just a physical place ? Tag someone who makes you feel at home ? We all have our favourite Instagram accounts and some of them may relate very well to your business. 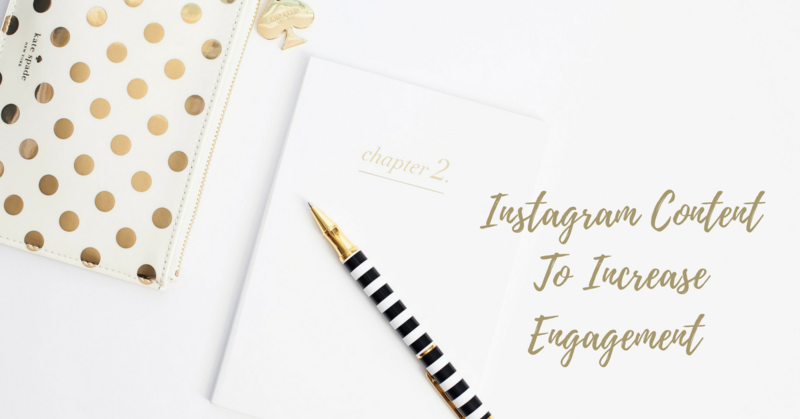 There is so much beautiful content on Instagram which you can use to engage and grow your audience – whilst crediting the original source, of course. Most IGers will appreciate you sharing their content on your page, as it gives them exposure to a new audience. Curating content is also a great way to acknowledge and get the attention of target accounts on social media. For example, an interior designer looking to develop a stronger relationship with a supplier might repost their content to show them support. Just remember the visuals should still align with your brand and the overall look of your feed. Coming from a marketing background, it is well studied that one of the greatest promotional methods is hearing testimonials from real clients. So by sharing testimonials on your feed, people are likely to relate to their stories – and see your business as one that can provide real results and value to real people. Showcase the human side of your business with a selfie or two per month. If people can relate to you it will help you to build trust and break down barriers when developing new business prospects. Of course, be careful not to overshare as this will impact your engagement rates and you might loose followers too – so keep it interesting, and of course PG! Businesses are often so focused on the technical aspect of their trade, that they often create a faceless image for themselves. As a customer, it is a lot more reassuring to know that real people are behind all the work the business does – but so often it feels like it’s done by robots! In order to overcome this and build trust between potential customers, sharing content focused on the team is a great way to personify your brand, and overcome the mechanical nature of business. Position yourself as an expert in your field by sharing your knowledge with your Instagram following – GENEROUSLY. If you work in real estate – market statistics can be an effective way to instill confidence in your customers or even help them affirm their buying decisions. Use statistics that are unique to your marketplace or aren’t easily available. People follow accounts on Instagram if they have something to gain from that account such as value, knowledge, esteem, inspiration etc. Think about what you can offer your audience that will be of value to them (not just you! ), it can either be inspirational, entertaining or educational. In this day and age, more and more customers are seeking instant gratification. So there’s a massive trend towards the use of videos on social media – and with good reason. They provide a quick and easy way to entertain your customer while also providing them with information. What would you create a video about though? Well, it comes back to value again! What value can you provide your audience and how can you turn this into video format? As a property professional, try before and after videos, market trend reports, suburb profiles, local business profiles, testimonial videos, stories from locals in your core area – just to name a few. Try and create your videos in square format rather than rectangular for extra engagement. There’s a reason that your feed is overflowing with #flatlays – they’re just gorgeous to look at. If you have the resources to create you own flat lays you can also leverage your page reach by featuring products from other brands with IG accounts. If you create a beautiful visual vignette these brands might feel inclined to share your flat lay on their page – meaning more exposure for your page. So get creative and incorporate flat lays into your content strategy to really elevate your feed to the next level visually. If flat lays tie in with your branding then incorporate this theme to provide your audience with value and potentially grow your exposure. Don’t let an unclear strategy impede your social media success! Recognize the strength of social media for your business but don’t have the time or knowledge to implement it? We can help you! Chronicle Republic is a boutique Sydney based digital marketing consultancy for real estate agents, property and interior design professionals. We help our clients tell their brand’s story through engaging and meaningful marketing that captures attention.